It’s back to school time for kids everywhere. 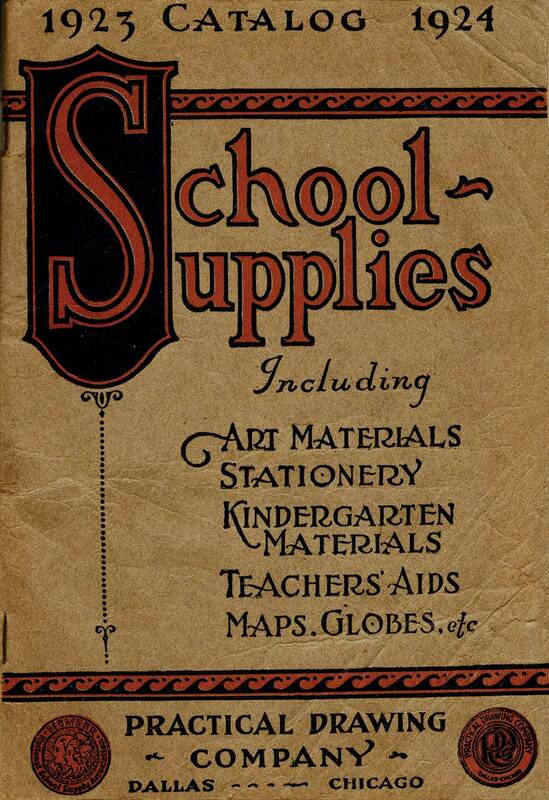 Many of the school supplies in this 95-year-old catalog are still essential and hardly changed. Notebooks and pencils are still needed. But teaching aids have shifted a lot. 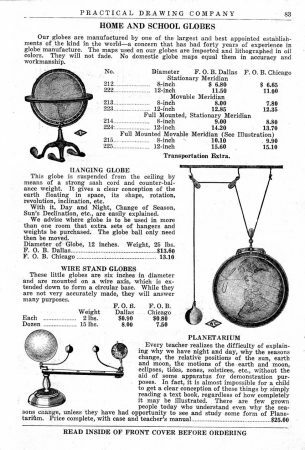 The hanging globe on this page, for example: I don’t recall seeing anything like it. It’s awesome the way it can be raised and lowered with pulleys and a counterweight. 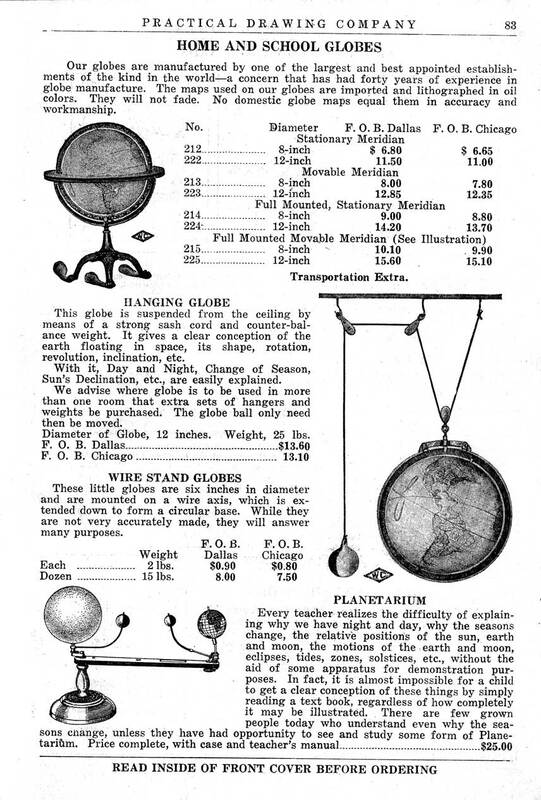 Practical for the multipurpose schoolrooms of 1923, and useful for hands-on astronomy lessons too. So is the “planetarium” at bottom left – a cleverly arranged and marvelously tactile device which can illustrate “why the seasons change” even to “grown people”. 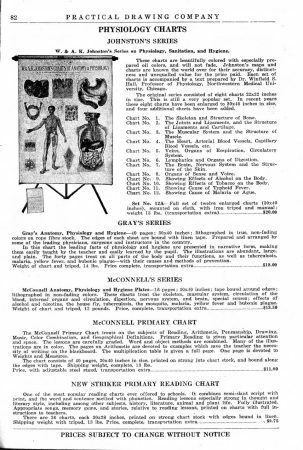 Meanwhile, on the prior page, oversize flipcharts of a type not used in schoolrooms for many decades offer lessons in biology and the diseases that people once worried about. The “Cause of Typhoid Fever”, Malaria, Ague, Bubonic Plague (really? 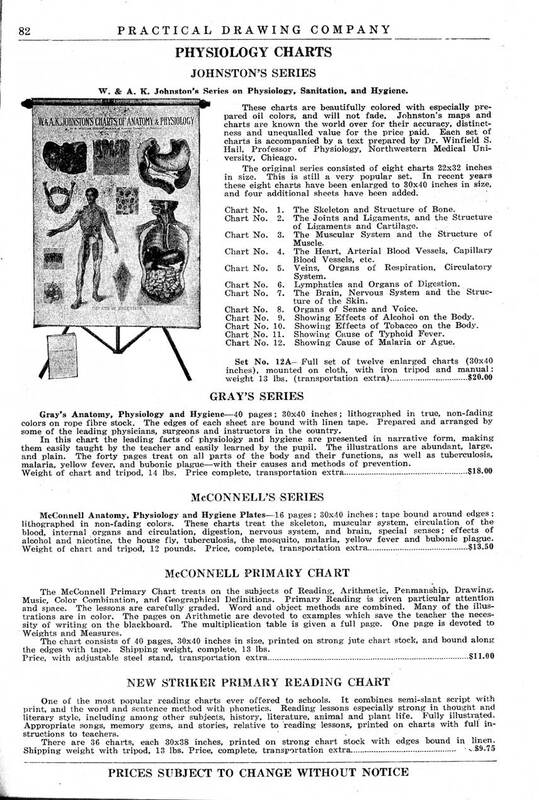 ), Yellow Fever, and Tuberculosis are not as urgently teachable as they were 95 years ago. Sadly, the “Effects of Alcohol and Tobacco” are probably still worth learning a century later.